At Crawfords Beach Lodge we know how important it is for families to relax and have fun while they on holiday that is why we have placed special attention on growing our activities and not just for the kiddies but for teenagers and adults too. 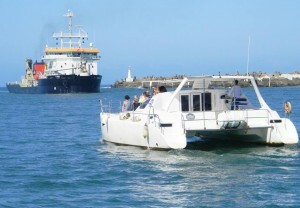 We introduce another exciting outside activity to our list of fun… Ocean and River Cruises (Southern Cross Cruises). Couldn’t have started at a better time as an Crawfords activity as the famous Sardine run approaches. The Kwezi: Relaxed River Cruises; Up to 20 passengers; Life jackets available; Greta for soaking up the sights; Ideal for all ages. The Inyathi: Relaxed Ocean Cruise; Up to 12 passengers; Life jackets provided; Great for soaking up the sights; Ideal for viewing wildlife. The Adrenalin: High Speed Ocean Thrill Ride; Wave jumping; Up to 12 passengers; Life jackets and helmets provided; wildlife viewing. For more information and to book one of these cruises while you staying at Crawfords please email: info@crawfordsbeachlodge.co.za or call us on 043 738 5000. The sardine run is one of the worlds greatest natural marine phenomena, also known as the Greatest Shoal on Earth. Millions of sardines migrate up the coast during the months of May, June and July. This is a playground for sharks, seals, dolphins, game fish and bird life joining in on the feeding frenzy as they follow.